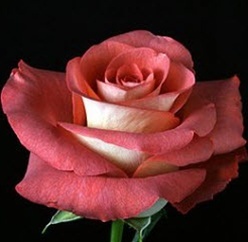 The Leonidas Earth Tones Rose is a bi-colored rose with rosy copper-brown inner petals and creamy yellow outer petals. The Leonidas Earth Tones Rose opens into a classic-shaped bloom with smooth edges. This novelty rose is a favorite for wedding bouquets, floral arrangements and lavish centerpieces. Free shipping!